Cities represent three quarters of energy consumption and 80% of CO2 emissions worldwide, and represent the largest of any environmental policy challenge. Urbanisation is only set to increase, cities house half the world’s population today but are set to host three quarters in 2050. To cope with this continued urban growth we will need to invent new ways to manage cities and make them more effective. The convergence between digital technology and the world of energy, or Energy 3.0, will pave the way for a new ecosystem of services which will enable both a better quality of life and reduced energy consumption. Marc Andreessen, co-founder of the first widely used web browser, famously said that “Software is eating the world”. Andreessen’s statement seems truer every day, digital technologies, after revolutionising the information technology sector, are now transforming all economic sectors, including energy. This sector will see increasing numbers of consumers producing their own energy, not only sharing it with one another but also customising it for their own personal use. Innovations that marry the digital and energy disciplines are widespread, including technology that controls the energy consumption of buildings and interoperable communicating devices – such as temperature and air quality sensors, variable speed drives and robots, as well as smart meters and intensity and colour controlled LED lighting. These are examples of the technology that is changing the way we use energy. Network Rail is one of the businesses driving forward innovation. 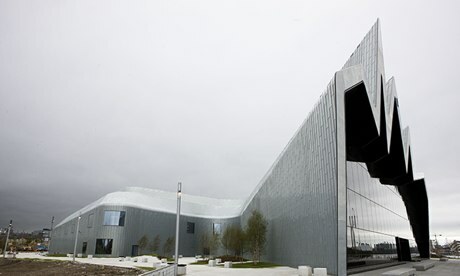 Its newly built national centre was awarded a BREEAM excellent rating. The building blends engineering, architecture and technology to incorporate sustainable design features and energy performance metrics. Carbon dashboards have been installed throughout showing energy consumption, raising awareness and putting staff in a position to improve a building’s energy performance. The burgeoning field of smart cities and the Energy 3.0 era will be made possible by two technological breakthroughs, close to root of the concept of “internet of things“: more efficient and miniaturised sensors and networks that interconnect all objects to one another. Today, the quality of air and water, the movement of people and objects, the changes in weather, the road traffic, the production and consumption of energy, can be measured by sensors, and tracked and interconnected through networks in real time. It is through interconnecting buildings, factories, vehicles, power generation plants, lighting, that cities will be “smart”. This requires working on open and non-proprietary standards. It means training electricians, heating engineers, construction companies, facility managers, so they are able to connect the relevant equipment together. Being facilitators of energy, electrical distributors play a key role in informing, training installers in the electrical infrastructure, and in the integration of electrical devices and creation of easy-to-install, end-to-end electrical solutions. We are currently at the beginning of this revolution enabling the aggregation of energy production and its consumption, but it’s rapidly gaining momentum. In the same way that the IT revolution has been driven by consumer needs, so too will the energy revolution. As blogs, social networks and video platforms have enabled people to produce information and customise their content, new technologies will make possible energy self-production and customisation of energy usages and consumption. Smart cities will also enable the use of open data which will create new urban services such as better transport connections, accident risk warnings and home monitoring for part-time and full-time carers. Local councils will have greater responsibility for ensuring the collection and the public availability of this data. Furthermore, by leveraging this data, businesses will be able to offer personalised services for users, for example smart meter data could permit utilities to offer new tariffs, such as time-of use pricing which will encourage end-users to use energy in off-peak times when it is cheaper. The UK, in common with many countries, understands the importance and benefits of a smarter and more sustainable future, and is investing, where relevant, to help drive the innovations that will enable this. Last year, the UK government launched a £24m competition for a large-scale demonstrator in its hunt for ideas for a “future city”. Glasgow City Council was awarded the funding earlier this year. The winning bid outlined how public, private and academic sectors can combine expertise and use cutting-edge technology to enhance day-to-day life in the city. The city’s programme covers several projects including: the creation of an integrated operations centre managing a new futuristic public space CCTV network and roads management systems; greater use of green technology such as white street lighting; and a city dashboard giving real time information on traffic flow, weather alerts, accident and emergency waiting times, rail and bus services and road gritting etc. In the United States, Boston ranked first out of 34 of the most populated US cities in the City Energy Efficiency Scorecard. It was ranked on its policies and other actions to advance energy efficiency, across five policy areas: local government operations; buildings; energy and water utilities; transportation; and the community as a whole. The city of Boston has partnered with companies such as IBM and Schneider Electric to reach its smart city goals. The urban revolution is already at work, but ultimately innovation will drive advances in technology, expansion of the internet of things and the empowerment of consumers, all of which will result in smarter and more sustainable cities. This entry was posted in Industry News and tagged Building automation, Building management system, Green building, LEED, Setpoint Systems Corporation on November 14, 2013 by setpointsystems.